Clearing out a city apartment or office can be a real hassle. But it doesn’t have to be. There is only one way to make your next clean-out quick and easy: rent a dumpster! Dumpsters make clean outs a breeze. Simply call 1-800-299-5865 and we will bring you the exact sized container you need for the job. For one flat rate fee, Flat Rate Junk Removal will bring you your dumpster, and pick it back up when you are through – no extra fees included! 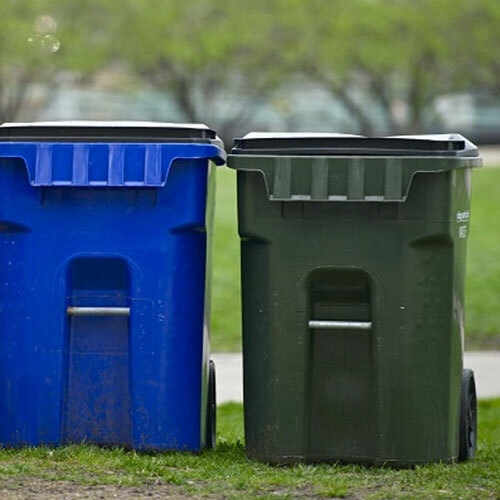 Whether you are in the middle of a construction job, or simply are ready to clean out a hoard, renting a dumpster can make the job go a lot faster. When you have a dumpster at your disposal you can simply begin getting rid of the garbage that has been cluttering your space. No need to pack items in boxes or bags – just throw them in your dumpster and you are done. 10-Yard Dumpster: this is the smallest commercial dumpster available for clean outs. 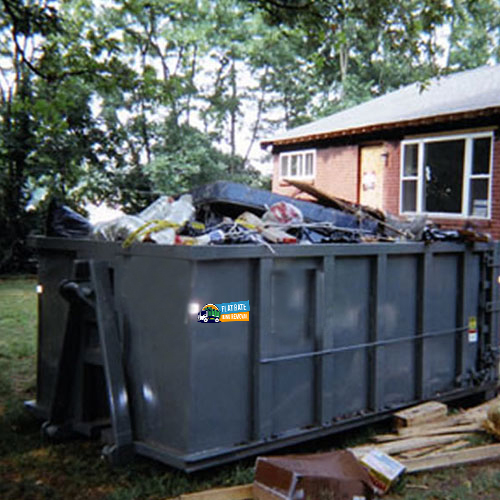 Measuring about 12 feet long and 8 feet wide, this basic dumpster is great for standard house and garage clean outs as well as small remodeling jobs. As a general rule it equals the same disposal space as six pickup trucks. 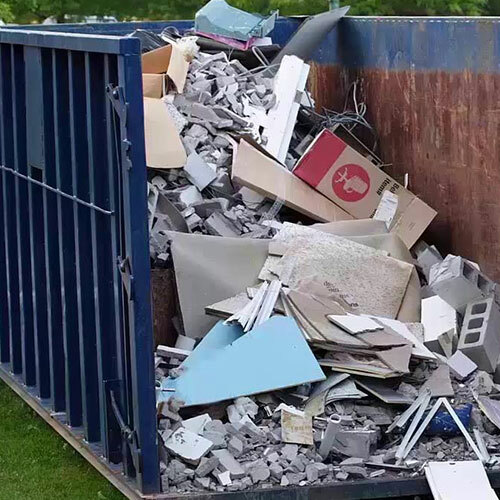 15-Yard-Dumpster: This is a good size for most basic remodeling jobs (like kitchens and bathrooms), as well as roof projects. A 15-yard dumpster equals about nine pickup trucks worth of debris. 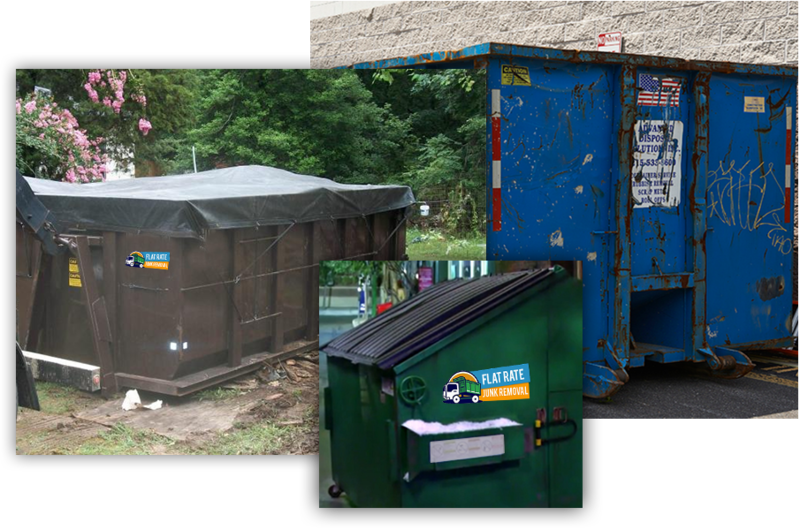 20-Yard-Dumpster: The most popular residential dumpster rental size, it is good for more intensive property clean outs, remodeling projects and small commercial spaces. 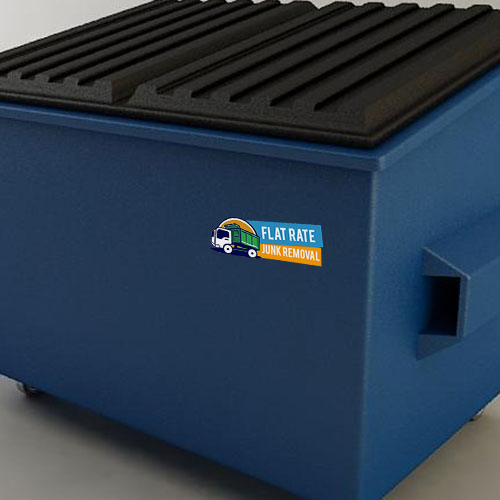 30-Yard-Dumpster: Reserved for larger projects, this commercial sized disposal container is great for foreclosure clean outs, large remodeling projects and office/warehouse cleanings. It can hold about as much debris as 20 pickup truck loads. 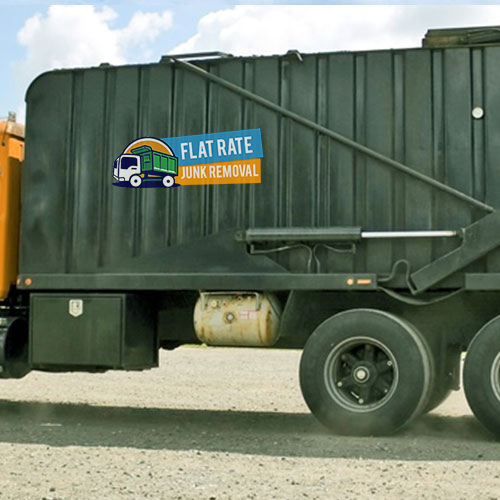 When you are ready to get to work clearing out your home or office be sure to call Flat Rate Junk Removal at 1-800-299-5865 to reserve your dumpster. Able to serve the entire NYC area, Flat Rate Junk removal is an expert at property clean outs and can give you the professional help you need. Call today for rental information.